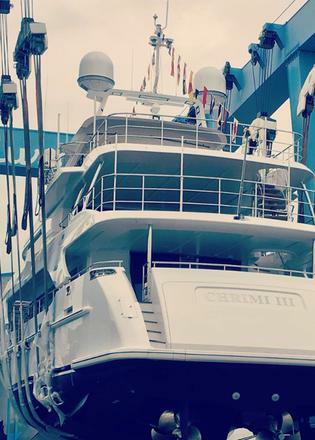 Benetti has delivered the 40.2 metre superyacht Chrimi III, the seventh hull in its popular Classic Supreme 132 series. Chrimi III was ordered by the owner as a successor to the 36.8 metre HeesenChrimi II, which is now for sale. The fully composite Classic Supreme 132 is one of Benetti’s Displacement Class series, which range from the 28.5 metre Delfino 93 to the 43.6 metre Vision 145. 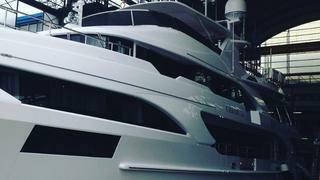 Just as with the other yachts in Benetti’s semi-custom range, the owner was able to work closely with interior designer Pulina DNA to personalise the interior. The Classic Supreme 132 has a full beam owner’s suite on the main deck with a sliding balcony that extends out from the port side at the push of a button. It also has an office, walk in wardrobe and his and hers bathrooms. 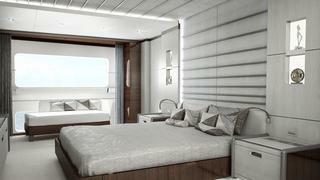 Two en-suite VIP guests cabins and two en-suite twin cabins can be found on the lower deck, arranged around a central foyer and providing total accommodation for 10 guests. Chrimi III, like the previous models, has two hot tubs, one on the foredeck and another on the sun deck. 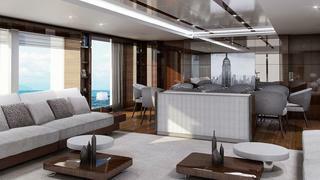 There are also two al fresco dining areas, one on the sun deck and one on the upper deck aft. The folding transom comes with umbrellas and sunloungers for relaxing in the shade after a swim in the sea. It also reveals the tender garage that has space for a Williams Diesel-jet tender and two jet ski’s. Exterior designer Stefano Righini added in large full height windows that bring light into the interior and complement the look of the exterior. The Classic Supreme yachts are fitted with Benetti Exclusive Sea Technology (BEST), which combines the on-board electronics and entertainment into one integrated system. Twin MTU 2000 M72 main engines give Chrimi III a top speed of 15 knots and a cruising speed of 14 knots. 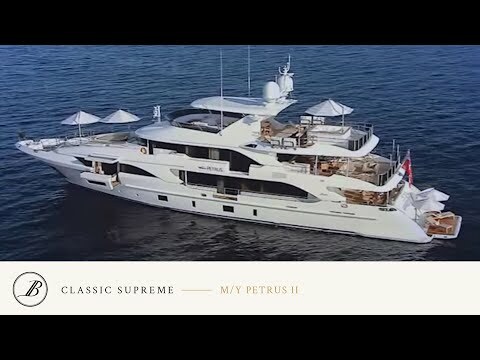 The first Classic Supreme 132, Petrus II, was launched in 2012 and Italian builder Benetti has continued to deliver the semi-custom yachts at an impressive rate. As can be seen from the 2016 Global Order Book, the next three Classic Supreme 132’s are already in build: BS008, BS009 and BS010.